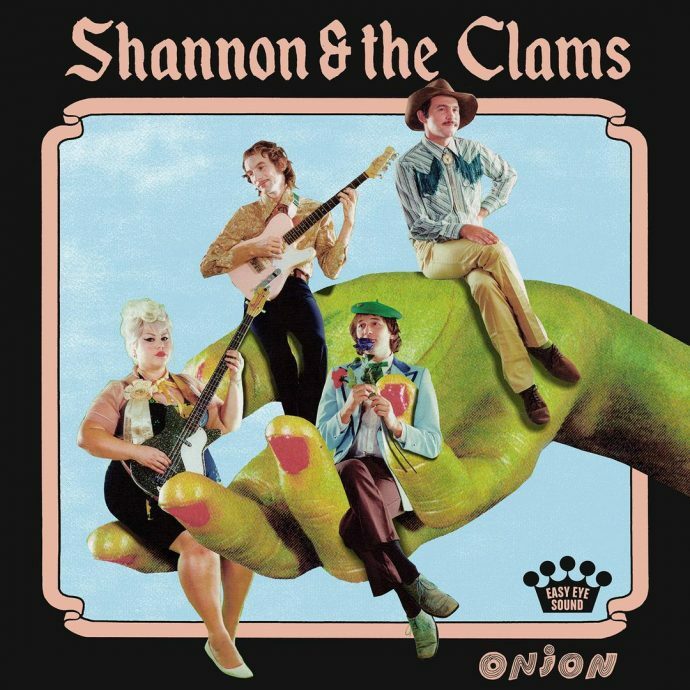 Washing up to shore like a wave from yesteryear, Shannon & the Clams’ style of lo-fi surf rock is tight and earthy in their new album Onion. This quartet of seasoned veteran musicians from Oakland keeps getting better with age and experience. The growled lyrics of lead singers Shannon Shaw and Cody Blanchard are primordial, which is accentuated further by the doo-wop backing vocals. Under these layers of fun almost pop music lies difficulties in love, self-discovery, and loss. Onion, uncoincidentally, has many layers that all fit together for a satisfying vintage crunch. After relishing in their own brand of success in the underground warehouse scene, the Clams have responded to the mainstream with a unique but still accessible album. Each song is constructed in a vintage way, harkening back to the 50’s and 60’s vibes of acts like Buddy Holly. Tracks like “I Never Wanted Love” and “Tell Me When You Leave” give Blanchard the vibrato of Holly’s classic vocal upswing, yet the Clams remain contemporary rockers, grinding their instruments a little harder than what would be commonplace 60 years ago. “No one told me I was just an onion” is perhaps the most profound lyric in the entire album, a center sphere to which the Clams set up camp. There is no lack of depth when it comes to Onion as these musicians revolve around this poingient onion theme throughout the 13 track lineup. No one is warned of the difficulties of life, and even so, there are no shared experiences in the world. The amount of depth and layers to each individual is vast and never ending. How profound it is to be just an onion. The Clams brand is special both sonically and aesthetically. Throughout the album they remain genuine and use their platform of familiar sound to dig deeper into more contemporary issues. There is a heart and soul: a casting of unexpected feelings that arrive as you sing along, drumming your fingers on the steering wheel. Onion is the kind of album that resonates and exceeds expectations.